This fun custom project was for clients in Denver, CO. 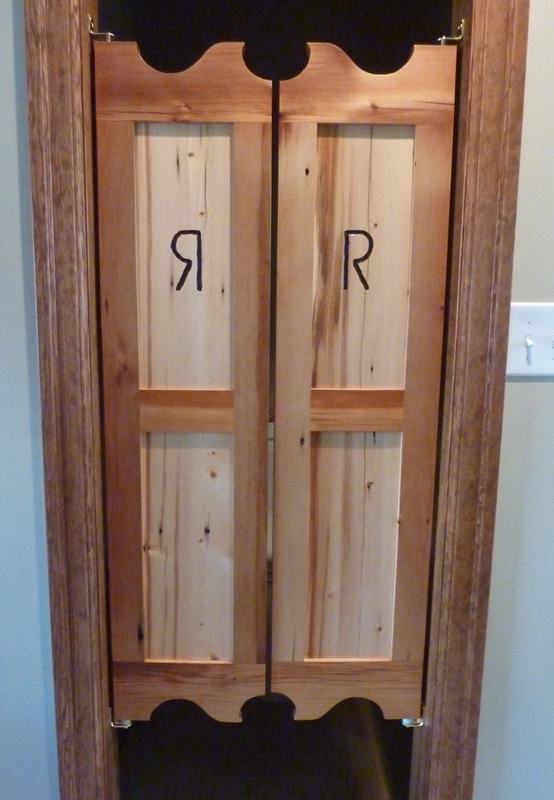 They had a vision of old saloon doors for their bathroom and we came up with this design, including the custom R brand for their last names (Both begin with R). The frame is reclaimed barn siding and the panels are reclaimed snow-fence, all using traditional joinery techniques. The “R” brand is burned into the panels. The doors swing on café door hinges. I can do any brand request.